Patient advocates have teamed up to take an important message to European physicians and policymakers: distinct names for biosimilar medications are essential. 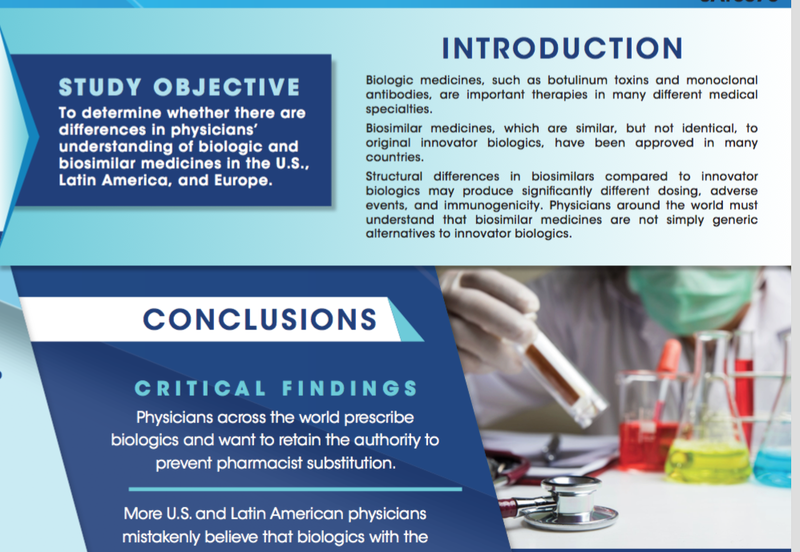 The Global Alliance for Patient Access and the Alliance for Safe Biologic Medicines recently presented posters at two European health policy meetings. The posters feature survey data from physicians to highlight the need for more education about how physicians can – and cannot – interpret nonproprietary drug names.